Range of motion measurement in an easy-to-use application. As health care evolves and therapists are challenged to become more efficient, we often turn to technology for help. I have recently learned about GetMyROM application from Interactive Medical Productions. Released in 2011, the GetMyROM application appealed to me because it addressed one of the most time consuming aspects of information gathering during the initial evaluation. 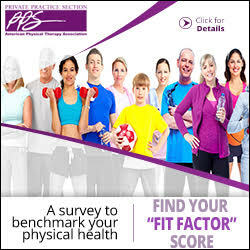 Obtaining accurate baseline and follow up range of motion (ROM) measures can have a variety of implications, but specifically affect two issues that are vital in our business—payment and utilization management. Decisions over payment often hinge on the ability to accurately measure impairments, and this tool provides a quick and easy method for accomplishing that. 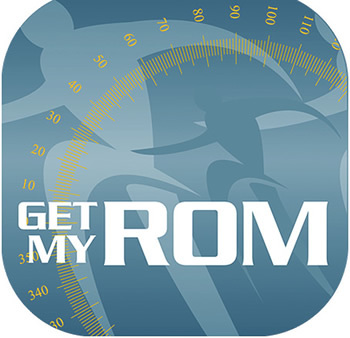 GetMyROM is a digital inclinometer that uses the iPhone screen to display the measurements. The app zeroes the starting angle of a measurement, giving you a true angle of measurement from your starting point—a unique feature. For example, if you are checking knee ROM, and the knee resting position is not exactly 0 degrees, the app adjusts by subtracting the starting ROM from the ending ROM and providing the true range. The app also allows data storage for retrieval, as well as left and right, specific joint, and direction of movement measured. There is a handy clock indicator to assist you in positioning the iPhone while taking measurements. The cost of the app is $2.99—far less expensive than a traditional inclinometer priced between $50 to $60. The one drawback: You need an iPhone! Overall, the app is self-explanatory but help features and online videos assist those who are not so technically inclined. Dan Fleury, PT, DPT, is an Impact editorial board member and a partner with Pinnacle Rehabilitation Network in Amesbury, Massachusetts. He can be reached at dan@pinnaclerehab.net.